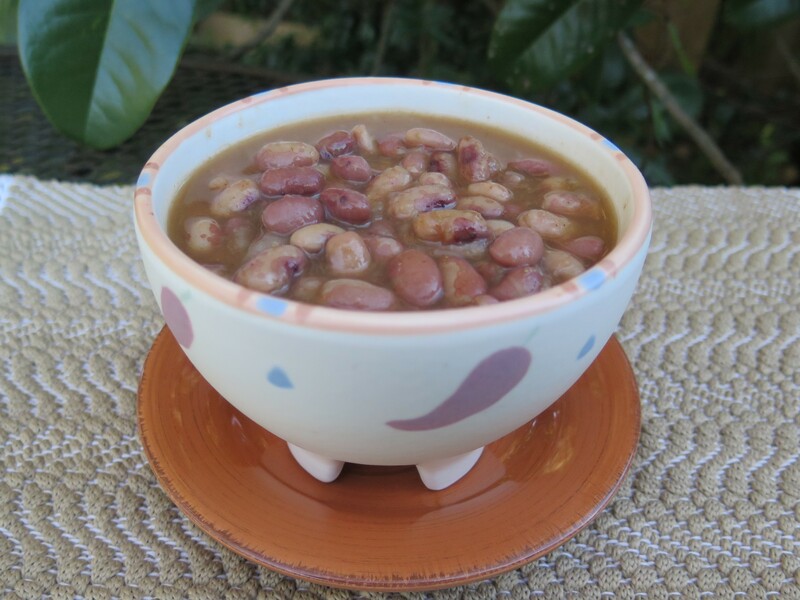 Let’s begin the new year by cooking something new: Anasazi beans. These heirloom beans have an interesting history. The beans shown here are from a farmer’s market in Taos, New Mexico, which is the closest town to the Taos Pueblos. My brother’s family purchased the beans while on a cross-country driving trip from California. Along the way they visited several American Native Indian cliff dwelling sites and ruins. I made a hearty soup with the beans.